Dr. Tammy Summerville has served as a public-school educator for 29 years. During this time, she has served as a classroom teacher, reading specialist, Assistant Principal, Principal, Director of Magnet Programs, and currently Deputy Superintendent of Instruction. Through her work as a public-school educator, she continues to support the goal of ensuring every student develops the skills, the knowledge, and the dispositions that will allow them to be responsible, contributing members to their community; prepared for life after Huntsville City Schools. Dr. Summerville holds a Bachelor of Science Degree in Elementary Education as well as a Master of Education Degree in Elementary Education from Alabama A&M University. 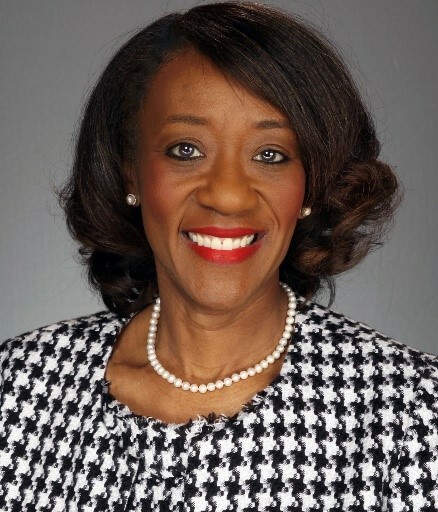 She also holds an Educational Specialist Degree in Educational Administration and a Doctorate Degree in Educational Leadership from The University of Alabama in Tuscaloosa. She is also a graduate of Leadership Huntsville/Madison County, class L-31. Dr. Summerville is a recipient of the Joffre and Zadie B. Whisenton Award from The University of Alabama. This award is given annually to a Black graduate student receiving a doctoral degree in honor of the first Black students to receive a PhD from The University of Alabama. In addition, she received the Huntsville Council of PTAs 2010-2011 Outstanding Middle School Principal award as well as the 2012-2013 Alabama PTA Outstanding Middle/Junior High Principal Award. She resides in Huntsville, Alabama and is married to Curtis Summerville who serves as an Alabama State Trooper, Public Information Officer. They are the proud parents of two daughters. Dr. Summerville enjoys spending time with her family and friends, reading, researching, traveling, exercising, and volunteering in the community.